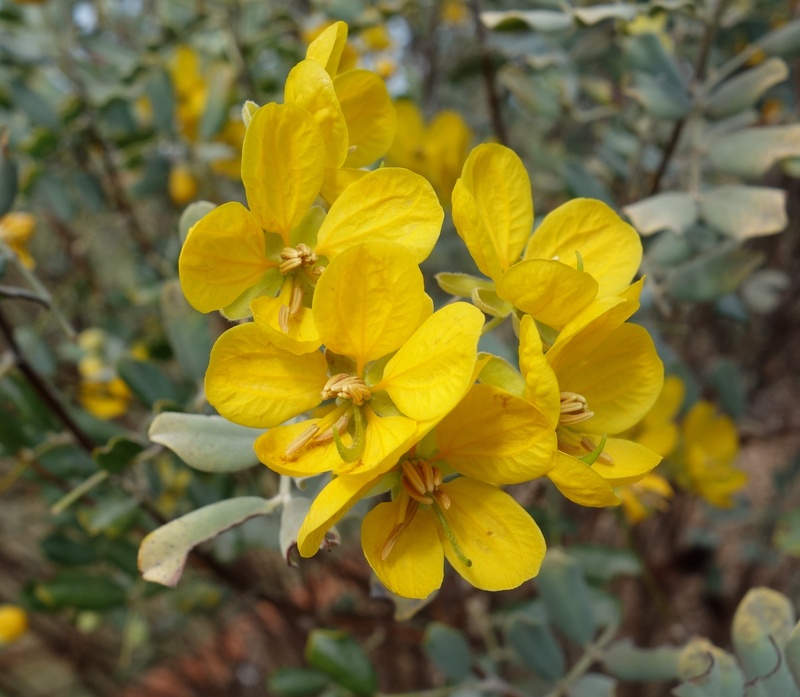 Grey shrub, but with grey club leaves, different to ssp desolata which has pointed pinnate leaves, one of 9 sub species of this striking shrub group. This entry was posted in Senna and tagged Senna artemesioides ssp helmsii. Bookmark the permalink.